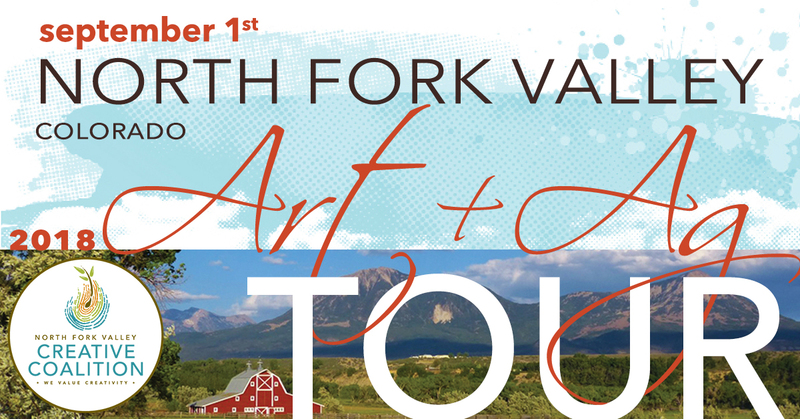 Tour the beautiful countryside of the North Fork Valley this Labor Day weekend! Located at the base of Mt Lamborn on the Western Slope, the North Fork Valley is abundant with organic farms, orchards, wineries, and artists’ studios. Join us on Saturday, September 1, 2018 for a daytime tour and an evening farm-to-table dinner benefit. Tour is free, happy hour is on your own, and our Celebrate the Fork dinner benefit is $75/person. Make your dinner reservations at NORTHFORKCREATIVE.ORG.